The other day I posted my Beef Stew and if anyone noticed, there was something hiding in the background. 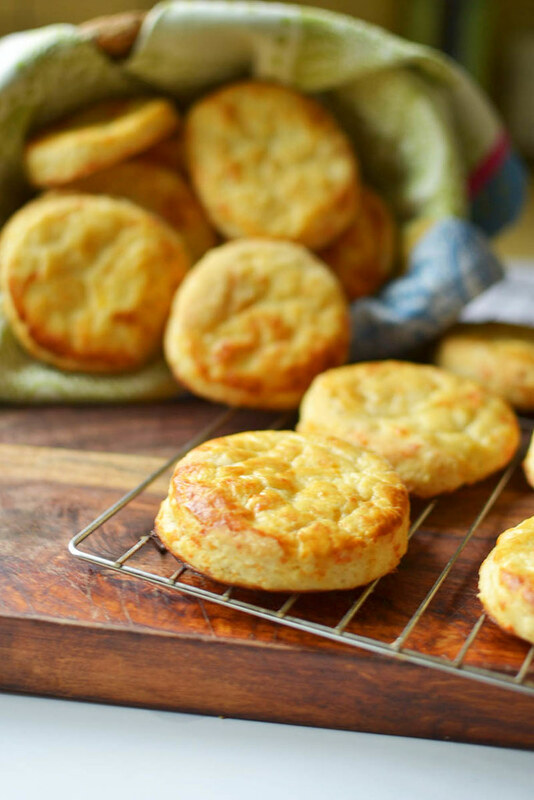 Cheese biscuits! Of course I couldn’t make a hearty beef stew without something to dunk in all those meaty juices! 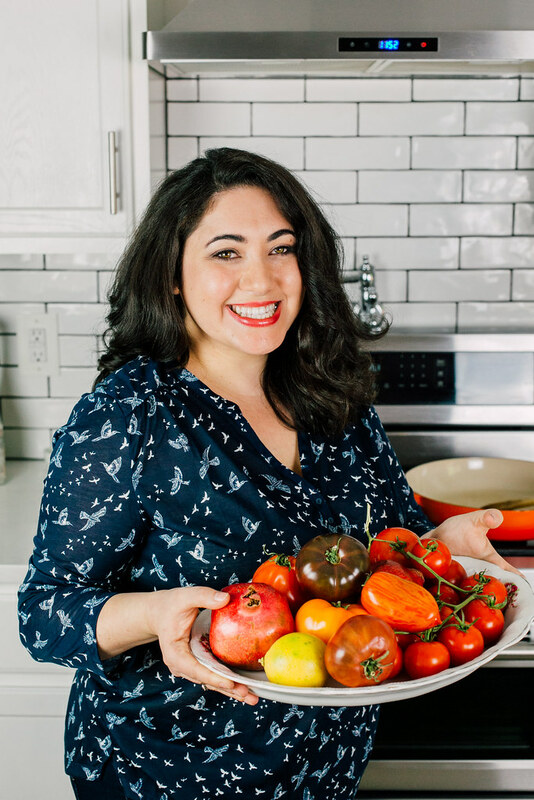 I found this recipe from Ina Garten and fell in love! It looked easy enough and had a lot of cheese rolling through the dough which I knew would taste amazing. I’ve been intimidated with biscuits since they can either come out amazing or like hockey pucks. These guys were light and fluffy and full of cheddar flavor. The only change I would do next time is not roll them out as thin because I think they could have puffed up even more. 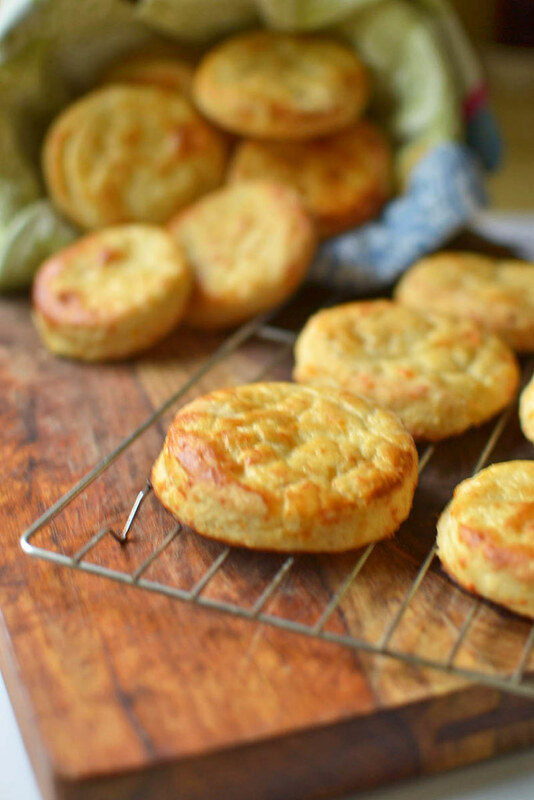 But seriously…theses are lightly beat wi the best cheese biscuits I have had. What a treat. 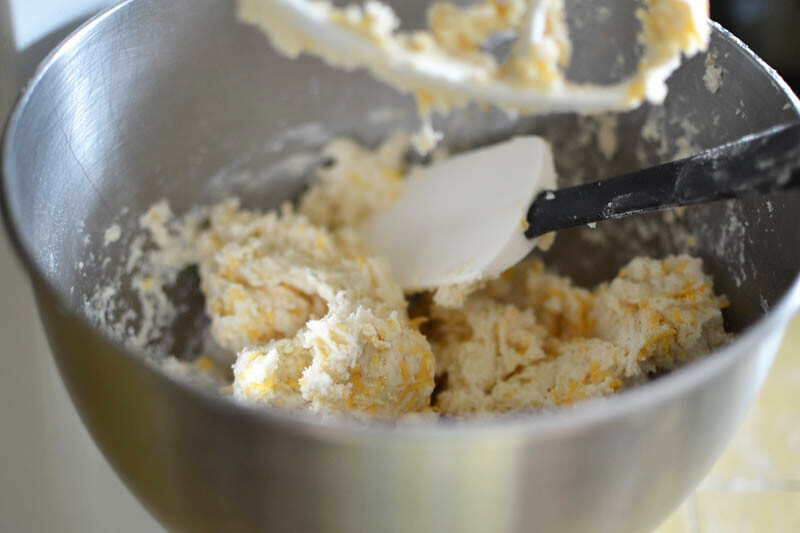 1) Using a stand mixer, add in the flour, baking powder and salt. With the mixer on low, add butter and mix until butter looks like the size of peas. 2) In another smaller bowl, add buttermilk and egg and lightly beat together. 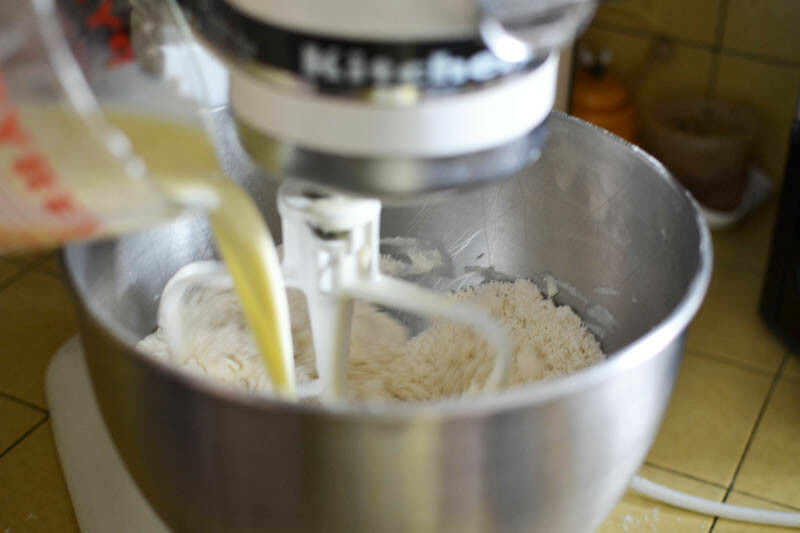 With the mixer on low, add the buttermilk mixture to the flour mixture until moist. In another bowl, lightly toss the cheese with some flour and add to dough and mix until everything is combined. 3) Place dough on a floured and clean surface and knead dough a few times. 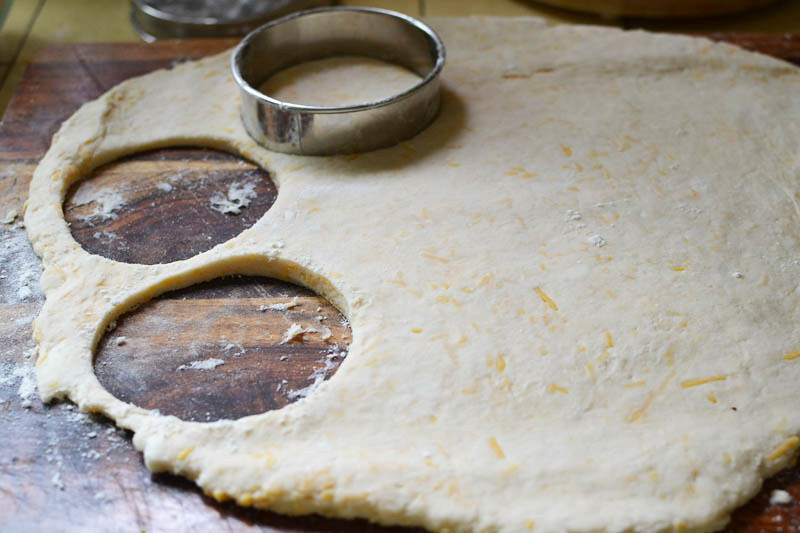 Then roll the dough into a rectangle shape with a floured rolling pin. Using a round cookie cutter (or any shape), cut out biscuits. Roll the scraps again and continue. 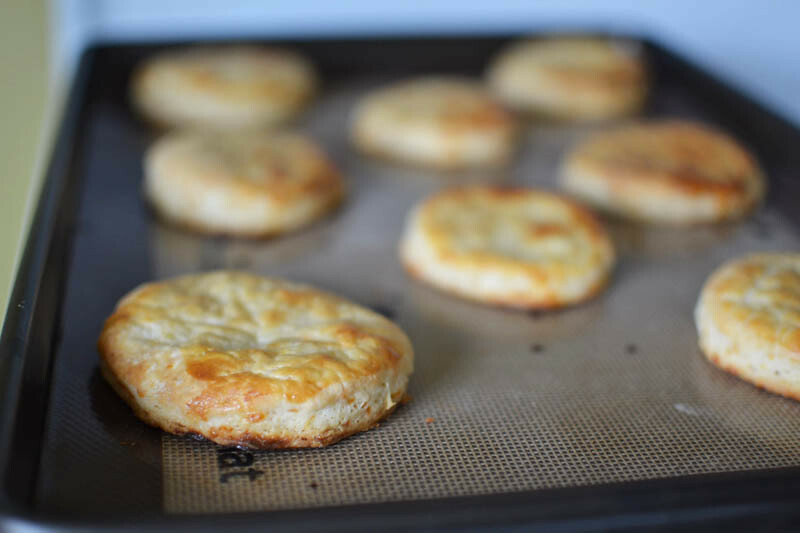 4) Place biscuits on a non-stick baking sheet and brush with egg wash.
5) Bake at 425 degrees F for about 20 minutes (or until lightly browned and cooked through). Using a stand mixer, add in the flour, baking powder and salt. With the mixer on low, add butter and mix until butter looks like the size of peas. In another smaller bowl, add buttermilk and egg and lightly beat together. 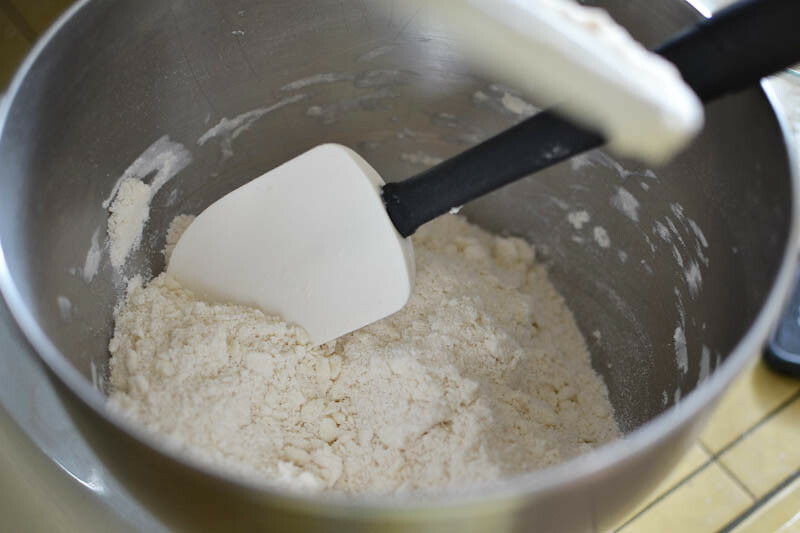 With the mixer on low, add the buttermilk mixture to the flour mixture until moist. In another bowl, lightly toss the cheese with some flour and add to dough and mix until everything is combined. 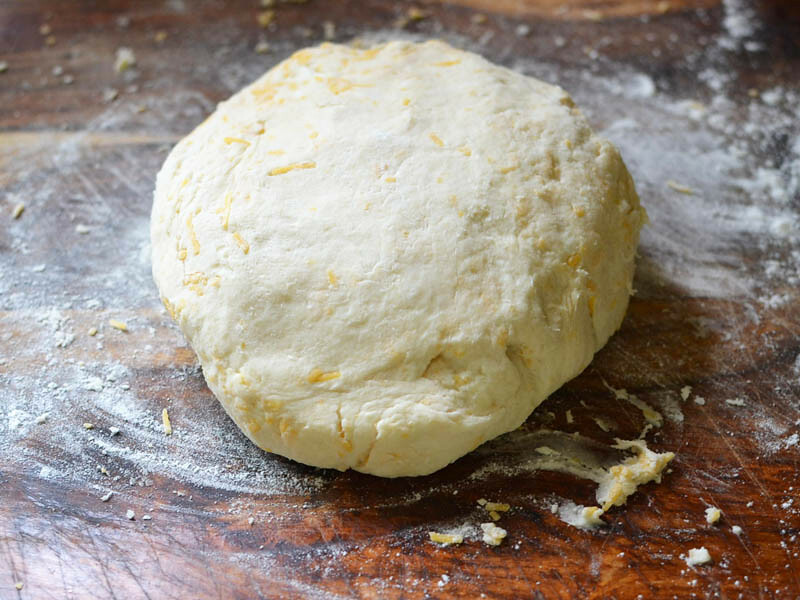 Place dough on a floured and clean surface and knead dough a few times. Then roll the dough into a rectangle shape with a floured rolling pin. Using a round cookie cutter (or any shape), cut out biscuits. Roll the scraps again and continue. 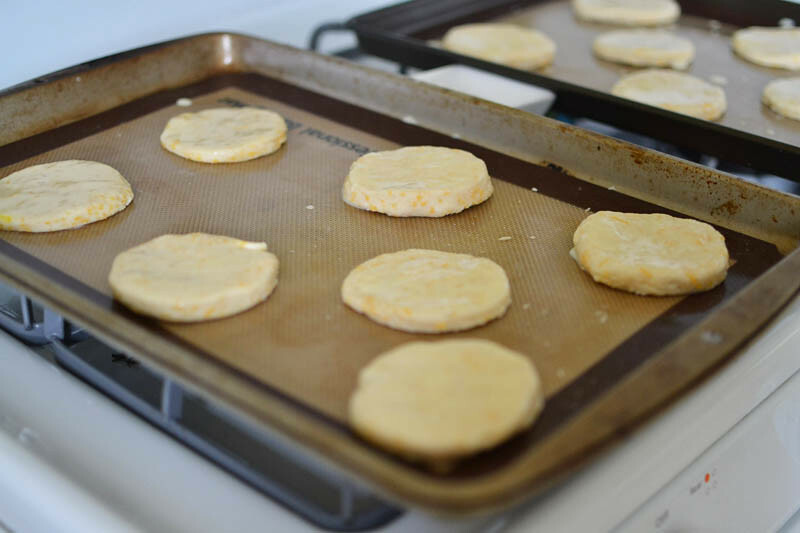 Place biscuits on a non-stick baking sheet and brush with egg wash.
Bake at 425 degrees F for about 20 minutes (or until lightly browned and cooked through).